The style you choose for your bathroom has lots of implications. Whether you want to add value to your property, create an environment with an added sense of relaxation and pampering or to modernise an inadequate and old-fashioned looking bathroom, one of the first things you will need to consider is what style it will have. Whilst recent years have seen a great demand for minimalistic modern bathrooms, the fashion is beginning to move away from this. 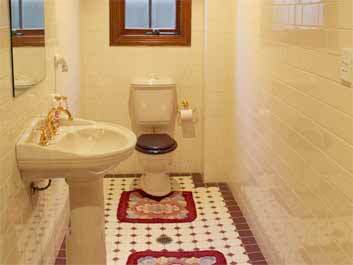 One of the newer trends gaining in popularity for bathroom design and renovation in Sydney is achieving a rustic look. Whilst modern bathrooms can date quite quickly and might need to be restyled at a later date, a rustic bathroom will look timeless and won’t look out of place in a few years’ time. Therefore, you will have a beautiful, relaxing environment which will retain its value if and when you look to sell the property. Rustic bathrooms also create a sophisticated design which will suit the feel of a bathroom whilst still be able to retain and integrate all of the mod cons you would expect in a new bathroom. So what are the key design points to target when designing a rustic bathroom? A lot of modern bathrooms, in particular, can look quite stark and clinical. This leads to a lack of soul within the room and means that it can lack identity and character. Look for some unusual items or antique products that capture your interest. They might seem a little unusual compared to the items you might see in more traditional bathrooms but when incorporated into the overall design can become focal pieces around which you can design the rest of the room. Look at brass baths or quirky props and if you find them interesting, go with them. You really want to get away from the traditional idea of highly polished, gleaming surfaces when trying to achieve a rustic look. Metals, wood and whatever other materials you choose will look unusual if you have them looking overly cleaned and polished so find materials which look fantastic as they are and leave them as is. They will look much more striking, homely and natural helping to produce that timeless feel. This goes against everything you normally hear about bathrooms but ideally you want to use vanities and cabinets etc. which look more like furniture items you would expect in the rest of the house. Wood looks great and provides and different colour contrast as well as detaching the style from the clinical showroom design which has become so common place. Use a mixture of textures and shapes to draw added character out and experiment with items you already have in other rooms. A dark wooden chest of drawers can look fantastic with a bowl sink incorporated into it. Remember experiment and be creative. A rustic bathroom does not need to conform to the standard whites and chromes which tend to dominate contemporary bathrooms. Experiment with dark hues such as red, browns and blacks as well as darker metal finishes such as blackened steel, iron and brass. These can be interspersed by more traditional elements as you please but overall you want to bring the overall tone down a notch or two from the traditional gleaming light appearance of modern bathrooms. Think cosy retreat rather than light and modern.